Reminder: Tuesday Funk #33 is tonight! "Quiet on the set! Three ... two ... one ... and we're rolling." Hello, Chicago, and welcome to another edition of Tuesday Funk, the monthly series where we bring you the writers we want to hear read live! Today is Tuesday, April 5th, and as always we'll be coming to you this evening from the upstairs lounge at Hopleaf in beautiful Andersonville, so come on down and join your hosts Sara Ross and William Shunn for this 33rd special episode of the Funk. Our guests tonight will include Ian Belknap, Lisa Chalem, Robert K. Elder, J.H. Palmer, and Mr. Shunn himself. You won't want to miss it, so come be part of the excitement. It's absolutely free, though if you want to buy a beer or two, we sure won't stop you. "Camera three, two-shot please, and hold. And ... cut to the important stuff." William Shunn was born in Los Angeles, raised near Salt Lake City, and lived for many years in New York City before landing in Chicago with his wife and dog in 2007. This completes his collection of U.S. continental time zones. He also spent time slumming in Canada before being ejected for bad behavior. Bill's stories and essays started invading magazines and anthologies in the early '90s. His novella Inclination was nominated for the Hugo, Nebula, and Theodore Sturgeon Memorial Awards in 2007. 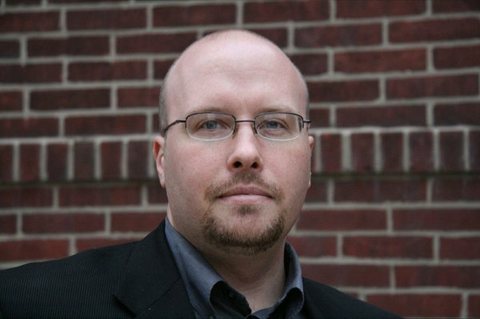 He is the author, with Derryl Murphy, of Cast a Cold Eye, and a bit of his short fiction was collected in An Alternate History of the 21st Century. He's currently deep in revisions of a young-adult novel, Endgame, and a memoir, The Accidental Terrorist: My Adventures as a Foot Soldier in the Mormon Army. You can learn much more, probably more than you want to know, at www.shunn.net. Bill is a co-producer of Tuesday Funk, where his poems are heard monthly from our microphone. Before joining us behind the scenes, he was a Tuesday Funk regular, reading serial installments from his memoir. He'll continue that tradition with a fresh chapter this Tuesday. 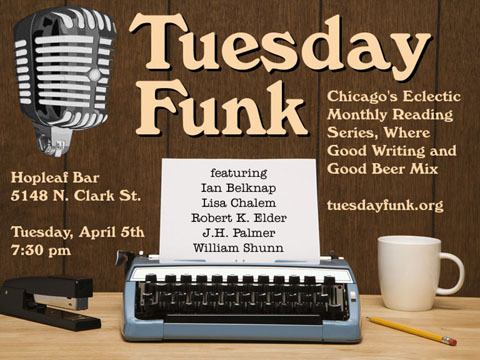 Join Tuesday Funk at Hopleaf's upstairs bar to hear Bill and all our talented readers on April 5th, 7:30 p.m.
Ian Belknap is a Chicago writer/performer who is the host/curator/Overlord of WRITE CLUB, the nation's premiere competitive philanthropic readings series, monthly at the Hideout. He also serves as the Fact Checker in The Encyclopedia Show, monthly at the Vittum Theater, and irregularly as the Dean of Mean at The Paper Machete, the weekly salon in a saloon at Ricochet's in Lincoln Square. He is author of the live memoir show Wide Open Beaver Shot of My Heart: A Comedy With a Body Count, which has appeared at Rhino Theater Fest, The Neo-Futurists, and Push Push Theater in Atlanta. He has been host curator of the show Something Wicked This Way Comes (Seven Deadly Sins-themed monologues) at Rhino Fest and the Steppenwolf Garage, and Ian's Dog & Pony Show (it's a big world of funny, so let's all play nice), which gathered solo performers, comedians, improv and sketch performers in one show. In a previous life he was a comedian who opened for Steven Wright at the Vic, and Dennis Miller at Skyline Stage on Navy Pier. In a life previous to that, he was an actor who appeared on stages around Chicago, and in various sneeze-and-you'll-miss-him roles in film and TV. Join Tuesday Funk at Hopleaf's upstairs bar to hear Ian and our company of talented readers on April 5th, 7:30 p.m.
J.H. Palmer is a secret writer who has lived in Chicago since pretty much forever. Her writing has appeared in Gapers Block, Mr. Beller's Neighborhood, Babble, and Christopher Street. Her superpowers include the ability to name any song that aired on WPLJ between 1980-1989 in three notes or less, the ability to smoke just one cigarette and not want more, and the ability to converse with housecats. 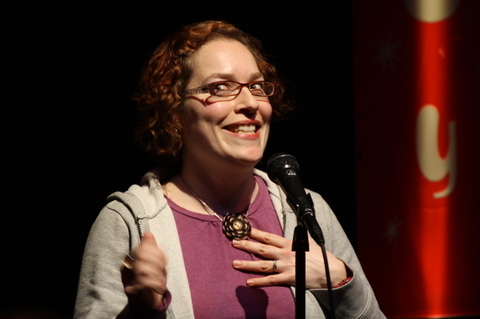 She appeared at Story Lab in January, won the February Moth StorySlam with a piece that she premiered at Story Club, and will be appearing at Essay Fiesta in April. You can keep up with her on her blog, Buttered Noodles. Join Tuesday Funk at Hopleaf's upstairs bar to hear J.H. Palmer and our crew of talented readers on April 5th, 7:30 p.m.
Robert K. Elder is a journalist, author, film columnist and a regional editor of AOL's Patch.com in Chicago. Pulitzer-winner Studs Terkel calls Elder "a journalist in the noblest tradition" in his introduction to Elder's book, Last Words of the Executed. Dead Man Walking author Sister Helen Prejean called it, "a dangerous book." Last Words of the Executed received rave reviews in The Economist, Harper's Magazine, and The New York Review of Books, among many other outlets. The New Yorker called it, "...A harrowing portrait of our justice system." Praise for Elder's 2011 book The Film That Changed My Life came from the Chicago Tribune's Michael Phillips, who called the book, "A great and provocative read...it's addictive." Film critic Leonard Maltin also said, "You'll have a hard time putting this book down." Elder's work has appeared in The New York Times, MSNBC.com, The Los Angeles Times, The Boston Globe, Salon.com, The Oregonian and many other publications. 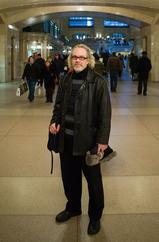 For more than a decade, he served as a staff writer at the Chicago Tribune. 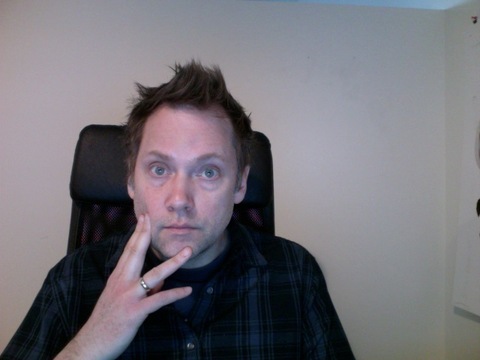 In June of 2009, Elder founded the Web 2.0 company Odd Hours Media LLC, which launched the user-generated sites ItWasOverWhen.com: Tales of Romantic Dead Ends and ItWasLoveWhen.com: Tales from the Beginning of Love. Both sites went viral very quickly, attracting more than 1 million hits within a few months. In late 2009, Sourcebooks signed the sites to a two-book deal. Elder is also the editor of "John Woo: Interviews," the first authoritative chronicle of the filmmaker's life, legacy and career. He has also contributed to books on poker, comic books and film design. A former member of the Chicago Film Critics Association, Elder has taught film classes at Facets Film School. He currently teaches journalism at Northwestern University's Medill School. A Montana native and graduate of the University of Oregon, Elder lives and writes in Chicagoland. He has been known to carry a digital voice recorder. Join Tuesday Funk at Hopleaf's upstairs bar to hear Robert and our cadre of talented readers April 5th, 7:30 p.m.
Lisa Chalem has loved writing since childhood when she and her best friend wrote a three page screenplay about two friends who realize fame and fortune as world renowned disco dancers. Her blog, Feel the Love. Eat the Food, chronicles how she turned her twisted relationship with food into a healthy one, and features recipes designed to lure the cooking phobic off the phone with the pizza guy and into the kitchen. 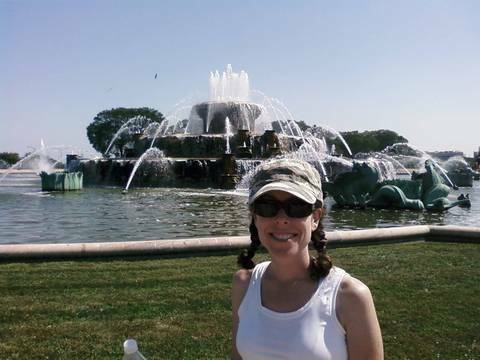 Lisa is a member of the Writers Workspace of Chicago and lives in Lakeview with her husband and two sons. She's thrilled to be reading at Tuesday Funk. Join Tuesday Funk at Hopleaf's upstairs bar to hear Lisa and our talented group of readers on April 5 at 7:30 p.m.
Is winter really over? In Chicago it's always hard to tell. But whether or not there's still snow on the ground, we at Tuesday Funk will be bringing you a veritable spring runoff of talent in April from the likes of Robert K. Elder, Ian Belknap, J.H. Palmer, Lisa Chalem, and William Shunn. Oh, and the beer, the beereighty varieties of it upstairs alone! You'll want to be sure and wear your hip waders. Tuesday Funk convenes Tuesday, April 5, 2011, 7:30 pm, in the upstairs lounge at Hopleaf, 5148 N. Clark St., Chicago. Arrive early, stake out a table in the upper room, and grab a beer from John at the cash-only bar. We start seating at 7:00 pm and no earlier. Admission is always free, but you must be 21 or older. And come early or stay afterward for some great Belgian-style food downstairs. Please bring plenty of friends, and become a fan of Tuesday Funk on Facebook so you never miss an invitation to our readings, which in future months will feature the likes of Paul McComas, Tim W. Brown, Brooke Wonders, Scott Smith, Bradley P. Beaulieu, Eden M. Robins, Jerry Schwartz, Brenda Cooper, Sarah K. Castle, and more. Our cup runneth over! Please note that this post has been updated to reflect a change in our lineup of readers. Robert K. Elder will appear April 5th in place of Tegan Jones, whom we hope to have back later this spring or summer. This page is an archive of recent entries in the Reading # 33 category. Reading # 32 is the previous category. Reading # 34 is the next category.